A reader who is actually an ex-Googler and orthodox Jew, forwarded me an email he received from the Chabad of Stanford that was titled "Google Glass Tefillin Stand." It caught my attention because a Rabbi was using geek marketing to attract Jewish students at Stanford back to the Jewish faith. 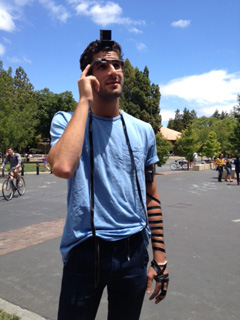 In short, students were enticed to stop by the "Google Glass Tefillin Stand" to put on Tefillin, a set of small black leather boxes containing scrolls of parchment inscribed with verses from the Torah, which are worn by observant Jews during weekday morning prayers. You may have seen these at airports, where people dressed in black suits and hats are handing out these boxes and wrapping them on men? 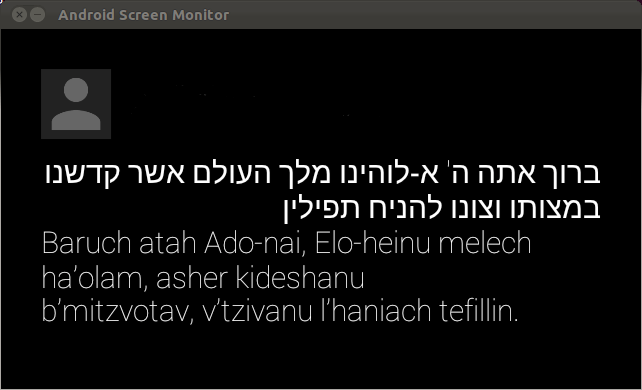 In any event, the catch was, you would put on the Tefillin and then be able to put on the Google Glass and see the prayer/blessing you would say when you place these on yourself. I am not sure exactly how this Chabad Rabbi, Rabbi Dov Greenberg was able to get his hands on Google Glass. I assume being on campus at Stanford helped. I also believe someone let him borrow it for this purpose or maybe it was donated. But Rabbi Greenberg did tell me, "many Jewish students who had never wrapped Tefillin before came out to do so." "Some of them told me it was their first time wearing Google Glass and Tefillin," he added. What a clever use of geek marketing for religious purposes.